If you're moving to Portland, Maine then you're looking for historic charm, the smell of the ocean, friendly neighbors, good food and good schools; a place where you can walk to the corner store and feel you are always home. You need a real estate broker with 30 years of experience matching home buyers with their perfect spot to call home, renovators with a project in the "next great neighborhood" and farmers from small family homesteaders to large beef and dairy production facilities with the right location for success. You need a broker who concentrates on you! I can not only match you with a property, I can send you to the public walking trails, saltwater farms, farmer's markets, county fairs, museums both conventional and unusual, galleries, quaint summer communities and centers for the arts, food and education. Call me and connect to a Maine future! Free advice is my pleasure. Maine has an enormous array of building renovation resources and a large network of plumbers, electricians, architectural salvage businesses, fine woodworkers, artists, masons, draftsmen, well diggers and septic designers, just to name a few. We are happy to connect you to resources to find the very best. I am a member of the National Holstein Society, New England Holstein Society, Pine Tree Holstein Association, Maine Association of Livestock Exhibition and an active 4-H volunteer. I am a great supporter of the Cumberland County Extension and a member of the Belgam D'Anvers Society. I am also an active member of the Cape Elizabeth Farm Alliance. So if you are interested in farming anywhere in Maine I am excited to help you find that farm, large or small, to get you on your way to joining the healthy and vibrant Maine Farming community. 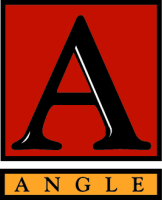 I began Angle Associates by selling apartment buildings in Greater Portland 33 years ago. I specialized in multi-units and renovation projects both multi-unit and single family and continue to this day. It is my opinion that real estate is the best possible investment for your future and I am committed to finding the right match between the buyer and the investment real estate.